Lost Planet performs Wednesday, Feb. 2, at the Ivy Room — they’re the middle act between Pink Canoes (with Aram Shelton) and Light a Fire (with Karl Evangelista). Near as I can tell, Pluto last recorded in 1998. The band members are all longtime friends and still get together for occasional gigs, though — here’s a notice about a 2010 appearance at 21 Grand — and they’ll be at the Ivy Room on Wednesday. I don’t know if Lost Planet sounds exactly like Pluto did, considering they’ve had more than a decade to start trying different things. But the core shape remains: outer-rim rock improvising with a base of springy, choppy guitars and drums, and some sax thrown on top, to open some jazz options. Critics liken the band to Henry Cow, but Pluto is looser than that and more laid-back than Captain Beefheart. I’m guessing Pluto’s music has always been all-improvised. Shoehorse Emerging certainly has that sound. They lean on particular riffs and one-chord jams long enough that it’s easy to believe everything was assembled without instructions. Or, maybe he had no affinity for jam music, which would be a requirement here. 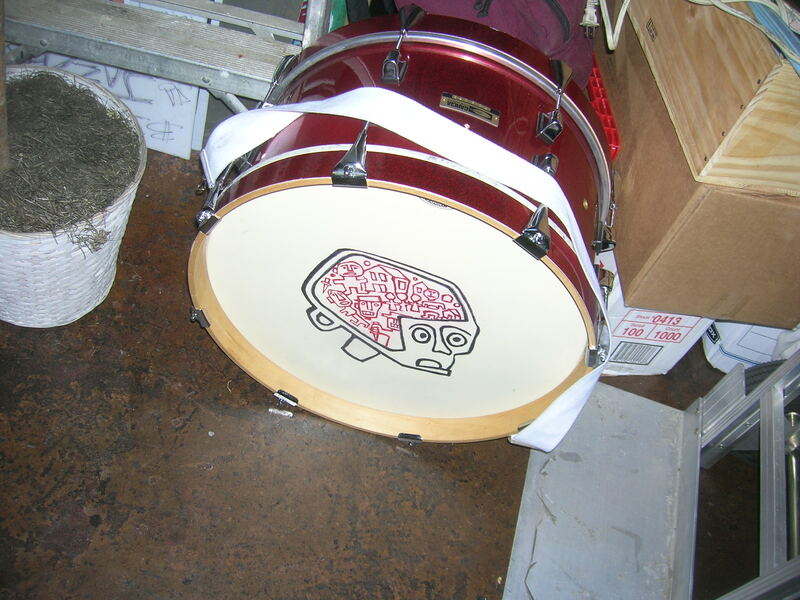 This band isn’t MX-80 and isn’t trying to be. The eight-minute “Journey of the Dunce,” one of the sunnier and longer tracks, bears some resemblance to Grateful Dead or Phish jams (but with a more coherent, less stoned feel). Lost Planet has lost one sax (Ralph Carney) but still has another in David Slusser (although he often takes bass duties), and maybe guitarist Stephen B. Clarke will be encouraged to bring his trumpet along, too. In any event, Clarke and Len Paterson (a longtime Slusser collaborator) have enough guitar ideas to pack a show. I just had a really odd and really cool listening experience. Which is what tends to happen when you pick up something from Dave Soldier‘s Mulatta label. 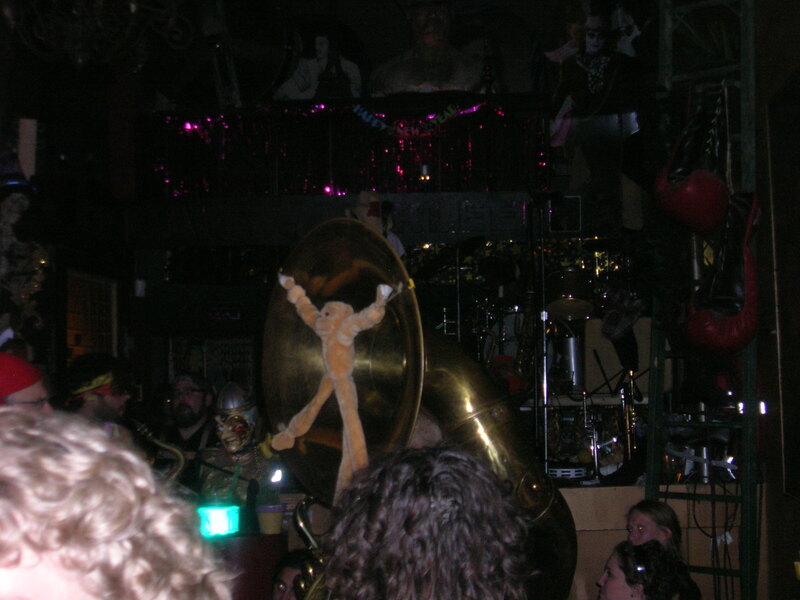 It’s the wellspring of such delightful oddities as the Thai Elephant Orchestra and “The Most Unwanted Song” (which deserves a blog entry of its own, someday). While I never write up a blog about a CD minutes after hearing it only once, it seems like the right approach here. Because Ice -9 Ballads is more like a play — a couple of plays, really. Something meant to be experienced live, without a rewind button. Or maybe I’m just feeling nostalgia for Kurt Vonnegut, because he’s the star of the show. “Ice-9 Ballads,” the title suite, is obviously inspired by his novel, Cat’s Cradle. It’s a set of nine songs, with some narration and lyrics by Vonnegut, quoting his novel, and the kind of musical mix you’d expect from Soldier, who’s a student of every music possible, it seems. He blends traditional jazz (think 1930s and earlier) with Calypso music, a touch of chamber strings, some New Orleans bayou seasoning, and a recording of Meade Lux Lewis. I mean that last one literally — there’s a movement called “Duo for Clarinet & Meade Lux Lewis,” and it starts with the soloist putting the needle down on one of Lewis’s records. That’s a fun one, but it’s followed by the piece that really got me thinking. Called “A Soldier’s Story,” it’s a radio play, complete with dramatic actors and an intentionally not-quite-hi-fi sound that hints at old radio static without being as annoying. It’s mostly played up for laughs, with lots of rhyming, some Marx Brothers-like one-liners, and cheery 1940s jazz backing from nine musicians. It’s the story of a soldier shot for desertion — but like I said, they play it up lightly. It’s only at the end that they reveal the punchline: The story was based on the real execution of Eddie Slovik in World War II, who’d confessed to multiple desertions and was rather unexpectedly executed for it. I don’t think it’s meant to be a perfect allegory to Slovik’s story, because the libretto, written by Vonnegut, casts the characters in a whole different light. The deserter (who’s not named Slovik in the play) is brash and cocky, and he literally starts daring the army to put him in front of the firing squad. The commanding general, played by Vonnegut, turns into a sympathetic character as he wrestles with his conscience over whether to carry out the sentence. I’m not making this sound funny. The play is funny, I swear. There’s a Red Cross girl who goes between the characters with a determined patriotism and an indelible smile — a cross between rigid, deliberate duty and utter cluelessness. (She’s played by Dina Emerson, who was also on “The Most Unwanted Song” and did some cool stuff with Jonathan Segel as the electronics/improv duo Chaos Butterfly.) At the end, the players get introduced, but all their “real” names are taken from Slaughterhouse Five characters. This CD was a 2009 release, but “Ice-9 Ballads” appears to have been recorded in 1997. I don’t know when “A Soldier’s Story” got recorded, but a live performance of it — with a different set of people — got reviewed in The New York Times in 2002. The review, which takes the play a bit too seriously, outlines how Vonnegut originally wrote the libretto with Stravinsky’s “Histoire du Soldat” in mind. The music does take a back seat in “A Soldier’s Story.” I don’t know how often I’ll listen to it, but it sure was inspiring and entertaining to experience once, and it probably does work better on “radio” than on stage. Reptet is a band best experienced in a bar. That’s unusual for creative music. The constant loud hum of conversations, people yelling to each other during the quiet parts, people constantly walking in front of he stage to get to the restroom … even with a good sound system, it’s hard to compete with all that. And yet, if you saw Reptet in a sit-down venue, you’d be missing out. You couldn’t, for instance, follow the band as they exited the venue out into the street and then covered “Riding Dirty.” Which they did Saturday night. (You know, I realized I’d never heard the real lyrics to that song before). People at Cafe Van Cleef really loved Reptet’s show, and by walking out of the bar, passing all the drinkers/shouters who were barely aware of the live music, they got the audience involved. 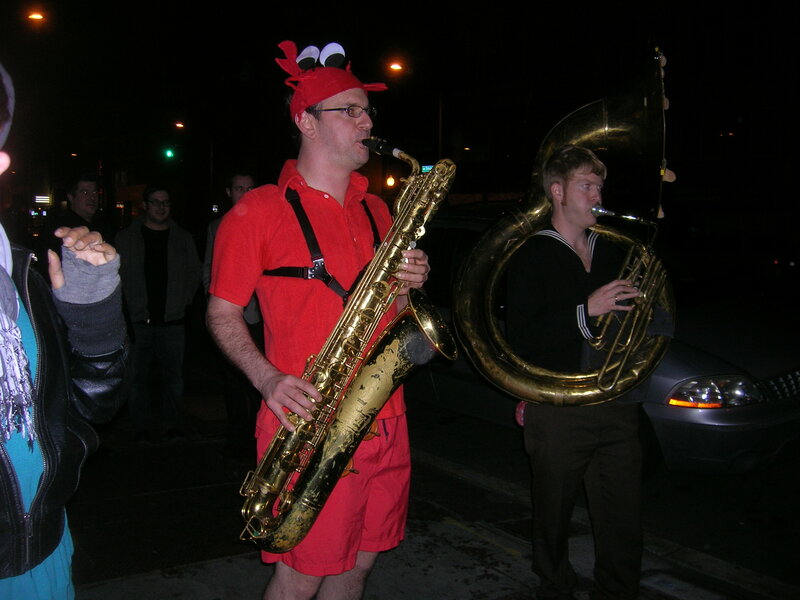 It helped that the music was peppy and the band was dressed in their usual thrift-store Halloween getups — a lobster, a sailor, a blue fish of some kind. 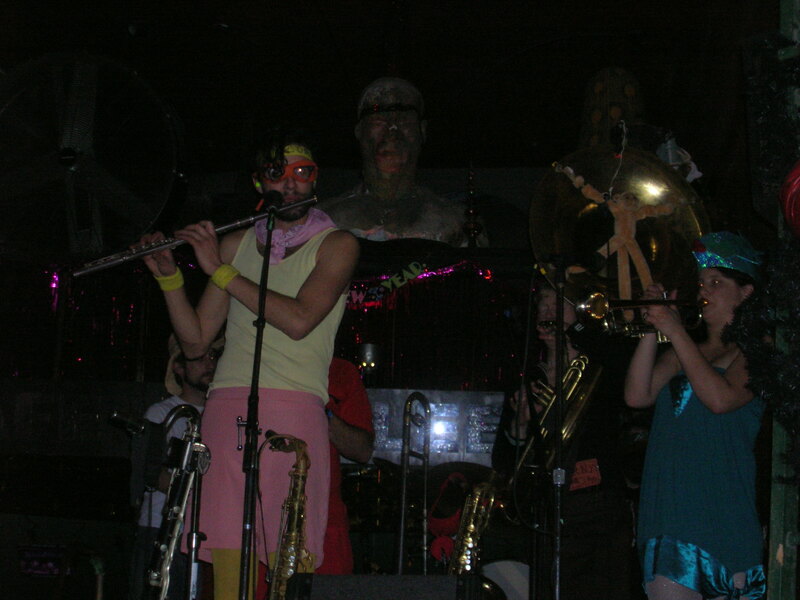 Reptet is not a clown band, though. Beyond the shtick, they’ve got serious jazz chops and an affinity for odd time signatures and long themes. They got the place hopping during the second set with a lot of danceable 4/4 numbers. During their third set, as the crowd understandably thinned out, they pulled out some songs that were slower and some that ran in 13 or 14 time — still crowd-pleasing but more cerebral. There’s a reason why all four Marx brothers got song titles on Do This!, Reptet’s 2006 album. Sandra Boshnack (trumpet), Izaak Mills (sax), and John Ewing (drums) are the three members who’ve been with the band since at least 2006. Boshnack does the bulk of the songwriting, while Mills acts as front man for the band. (He does some composing as well.) Ewing, it turns out, is Reptet’s founder and possibly the sole survivor from its first incarnation. Glad to see he’s still there — he’s a crackling drummer, strong and precise. Reptet needs loud, joyous drumming that’s also got a jazz sense of accuracy and timing. I’ve hardly said anything about what they sound like, haven’t I? It’s well-played jazz with a smiley-face in every measure. Their use of madcap art by Jim Flora, who decorated many a 1950s jazz album, describes them well: The stage show involves lots of movement: jumping; bobbing and weaving; goofy singing. The music frequently turns to Latin themes, or at least, themes busy enough to be likened to Latin jazz, and there’s an occasional touch of marching band — you could call them a smaller version of What Cheer? 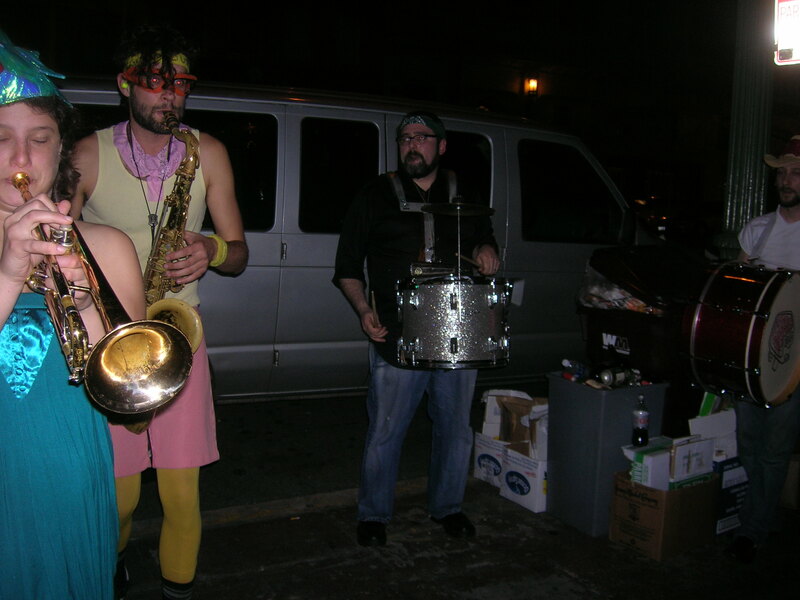 Brigade or the Extra Action Marching Band, but jazz chops get a heavier emphasis in Reptet. Hip-hop pranksterism doesn’t show up much on their CDs, but it’s a lively part of the live show, especially in Mills’ stage presence. They bring a ton of gear. In my memory, I’m counting at least six saxes/clarinets for Mills and Chris Credit, and one flute; at least three trumpets for Boshnack; extra drums for Ewing and bassist Tim Carey (for those excursions into the crowd); and a tuba, conch shell, and trombone for Nelson Bell. Random percussion was all over the stage, and someone (Ewing?) had a whistle. I’d question whether Reptet is bringing many new converts to jazz. In fact, some bargoers might leave a show with an even lower impression of sit-down jazz. That would be sad, but I’m finding I don’t have a problem with it. This band gets to play jazz they love, and they put on a good show for those audiences smart enough to listen. And if you can catch three sets on a Saturday — well, even better. I hope this tour won them some more fans, and I hope they’re able to come back soon. I’d be lying if I said I’ve been an avid reader of Cadence magazine. I did have a subscription for a couple of years, but the volume of material in the densely packed monthly was overwhelming, and my subscription kept lapsing due to my own disorganization. Cadence is important, though. The sheer volume of reviews is actually a good thing, because it creates a library of short notices about every type of jazz imaginable, from the most staid torch-song album to edge-walking abstract improvisation. Their (formerly) monthly list of newly arrived CDs was a good resource in itself. Even more important are the long-form interviews, sources of so much oral history and so much philosophizing about music. It’ll all be missed. Now a quarterly, Cadence is reportedly ready to call it quits at the end of 2011. Sibling businesses, such as the Cadence and C.I.M.P. record labels, will thankfully live on. Well, now I feel guilty. As I said, I haven’t been a reader for some time, and the portable hole that is The Internet easily saps whatever time used to go to scouring Cadence. Of course, that’s exactly the problem. Whether Cadence‘s retirement is real or not (I haven’t seen any verification beyond the message-board post linked above), I’ll be scouring their back-issue list to catch up on some of those interviews. I suggest you do the same. They’re great food for the mind. The whole Cadence empire can be found at http://cadencebuilding.com. Having missed seeing Nathan Clevenger’s band last month, it’s been great listening to them in recorded form on The Evening Earth. The audience that night certainly liked them. I had the impression this would be peppy, often pretty, and just a little weird. Pretty close. Clevenger’s writing takes a lot from the swing era, but it’s packed with odd time signatures, twisty compositions, and passages of improvisation that go well beyond the old concept of a solo. On “Gap Embryo,” after Tim Bulkley‘s drum solo, the three horns — two saxes and a clarinet, I think? — swirl along their own, untethered paths, backed by bowed bass and a very light-touch guitar in the corner. That’s followed, quietly, by bassist Sam Bevan knocking strings with the wood side of the bow as part of his solo. So, no, it’s not a plain swing album. The band’s emphasis is on the horns (saxes and clarinets by Mitch Marcus, Kasey Knudsen, and Aaron Novik). Clevenger himself plays guitar, and for the most part, he’s content to spin little lines and chords from his chair off to the side (literally; his guitar is pushed into the right speaker). It’s an airy sound, sometimes infused with a cowboy twang — especially on “Trellis,” which, when you start concentrating on the springy, old-timey guitar chords backing the solos, starts to take on the knowing smile of slapstick. The writing generally has a sunny disposition — even the song called “Hopeless” comes with a skip in it step. “Soul Is the Last Refuge of a Scoundrel” combines big-band retro with a driven, almost late-’60s air, while “Gap Embryo” is a 5/4 trickster with some Mingus-like tempo shifts. I also find myself liking the dreamy swing of “Low Resolution,” possibly the straightest track on here. The horn harmonies frequently recall the big band era, but Clevenger puts lots of creative twists on the concept. You don’t get the breakneck tempos of bebop, but neither is the music frozen in the ’40s; the writing is fresh, and the musicians are given free rein to turn things upside-down, as on Novik’s offbeat, scribbling bass clarinet solo on “Late Kasparov Drives a Cab.” (You have to love these song titles, too.) And something about the heavy use of clarinets creates a circus atmosphere, in a good way. It’s more calm than madcap, but still, something about buoyant clarinets evokes images of tightrope walkers and trapezes. Reptet, an exciting Seattle jazz band, is winding up their west-coast tour. They’ll be in Oakland tonight, Saturday Jan. 22, at Cafe Van Cleef (1621 Telegraph Ave., downtown Oakland). There’s been a 50% turnover in the six-person band, but judging from the writeup got in L.A., they’re still edgy and fun. Here’s an old rehearsal video that shows off the band’s personality. I honestly don’t know what time the show starts, but Cafe Van Cleef is your usual open-til-2 a.m. bar, so I would guess they’re starting at 9:00 p.m. or later. That’s good, because it would give you time to go see one of the five other interesting shows happening tonight. If you didn’t think you had plans, now you do: Consider checking out one of these, then hot-footing it to downtown Oakland (near where Telegraph and Broadway converge) for Reptet. — THE UNCOMFORTABLE ZONES OF FUN experiments in experience/participation performance. Frank Moore, world-known shaman performance artist, will conduct improvised passions of musicians, actors, dancers, and audience members in a laboratory setting to create altered realities of fusion beyond taboos. — Music for Keen Ears. Goodheart, Raskin, Tarasov Trio with David Wessel. The renowned drummer Valdimir Tarasov is visiting from Lithuania and enabling this trio to perform again in the Bay Area. David Wessel will be joining them on electronics as they continue the jewel like music that rewards the keen ear. The Rova Saxophone Quartet will be performing Jon Raskin‘s new composition, “To The Right Of The Blue Wall” and other recent works. — Grex was formed in and around the Mills College music axis, emphasizing cross-idiomatic conceits and melding elements of disparate sources–free jazz, early minimalism, impressionist music, garage rock, electroacoustic improvisation, folk balladry–into something stark and eldritch. The duo (Karl Evangelista & Rei Scampavia) will be joined by local performers Jordan Glenn, Jason Hoopes, and Cory Wright. — The Meridian Gallery presents the Thingamajigs Performance Group (TPG), which will offer new works that combine Eastern sensibilities with modern American technologies and performance practices. Creating pieces in a group collaborative process that sometimes incorporate voice and other unusual musical instruments, this ensemble of musicians expands and contracts within each performance situation. This concert will feature works written for instruments created with made/found and recycled objects, Asian wind instruments and homemade electronics. Having been a college radio DJ for 12 years, I feel obligated to say something about KUSF, even though I don’t have much to offer. 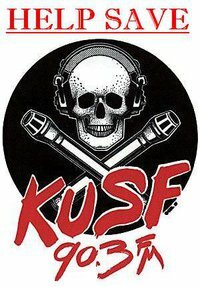 In a complicated transaction that I still don’t quite follow, KUSF (90.3 FM) has been sold by the University of San Francisco. The short version: publicly funded classical station KDFC, formerly 102.1 FM, will take its place. KUSF technically doesn’t die; it become an online entity. Which means listeners will no longer stumble upon it in that moment of wonderful discovery that’s become so rare on radio. KUSF is not alone. Universities are strapped for cash, and their FCC licenses are very sellable properties due to their scarcity. Signal To Noise magazine devoted its latest issue to this, um, issue. It’s a topic that really hit home, because publisher Pete Gershon is (was) a DJ at KTRU, Rice University’s station — which, similarly, is getting sold off. Gershon’s long, detailed article — a nice showcase of what magazine writing can accomplish, by the way — traces the station’s history, its unfolding reaction to the sale, and the toll the situation has taken on the staff. Bottom line: There’s a lot of anger, but there aren’t a lot of options. That’s a little bit how I feel here. I’d be lying if I said I was a longtime KUSF fan, since I live outside their range. But I feel solidarity for their plight, and it’s got me wondering about the wealth of good community radio we have here in the Bay Area — KZSU, KFJC, KALX, KPFA. Heck, even KKUP, which I don’t listen to often, but which presents a folk/roots subset that would otherwise go unbroadcasted. This is substantial work that’s in the public good. But in the last three decades in this country, anything that doesn’t profit a corporation has been looked upon with increasing suspicion. And the gaze of that evil, unblinking eye has finally fallen on college radio. So, if you listen to any college radio, you’ve got to pay attention to the KUSF situation. Their troubles could easily come to a station near you. * There’s a Save KUSF group on Facebook. It’s mainly being used for a lot of venting right now, but there’s some substantial information there. Might be an easy way to track the situation. * Radiosurvivor.com summarized the meeting where USF officials explained the sale. KUSF got taken off the air abruptly, a fact that intensified the subsequent outrage. Turns out, that happened because USF was forced to sign nondisclosure agreements in order to even negotiate the sale — nobody could be told ahead of time, which conveniently meant that the likely public opposition could be kept in the dark until the papers were signed. That’s business. By the way — if you’re hoping low-power licenses (smaller radio stations, recently approved by the FCC if I understand correctly) will be the savior of college radio… fat chance. Every last one of those licenses is going to get snapped up by the religious right. They’re more funded, motivated, and organized than most scrappy DIY outfits. Finally, a word about KDFC. This whole situation is disappointing, but for that particular station, this is at least a small step up. In a big-corporation attempt to turn classical music into a moneymaker, KDFC had begun promoting itself as “classical you can listen to at work,” or some such. Lots of Mozart, LOTS of commercials, and no living composers aside from the names that snuck into the SF Symphony live broadcasts. Well, maybe it’s unfair of me to be so dismissive — because after giving KDFC a cursory listen several years ago, I never went back. Its abuse of classical music as intentional background music was just offensive — and I really mean that. I felt used. But KDFC becomes noncommercial in this deal. While they’ll stick to classical-classical music, they’ll hopefully feel free to explore more nooks and crannies and to play longer pieces or even (god forbid) entire symphonies and sonatas. Maybe it sounds like a crazy dream, but similar thinking has kept KCSM alive, thankfully. There’s hope.